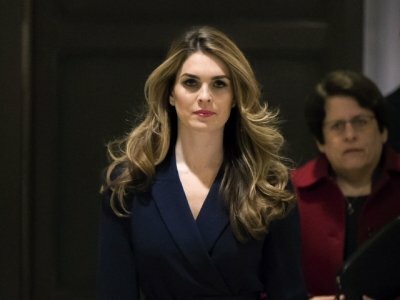 WASHINGTON (AP) — White House communications director Hope Hicks, one of President Donald Trump’s most trusted and longest-serving aides, abruptly announced her resignation Wednesday, leaving a void around a president who values loyalty and affirmation. The departure of Hicks, who worked as a one-woman communications shop during his campaign, came as a surprise to most in the White House — and cast a pall over the West Wing at a trying time for the president. It leaves Trump increasingly without support of the familiar aides who surrounded him during his campaign, and marks the latest in a string of high-level departures in the administration’s second year.